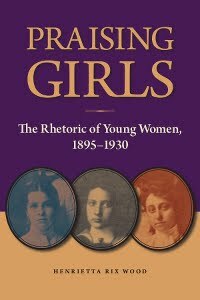 Praising Girls: The Rhetoric of Young Women, 1895-1930. Southern Illinois University Press, 2016. Co-edited with Lori Ostergaard. 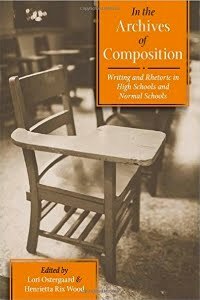 In the Archives of Composition: Writing and Rhetoric in High Schools and Normal Schools. University of Pittsburgh Press, 2015. "Collaborative Confrontation in the 'Persistent Protest': Lucile Bluford and the Kansas City Call, 1939-1942." Wide-Open Town: Kansas City in the Pendergast Era, edited by Diane Mutti Burke, Jason Roe, and John Herron, U Press of Kansas, 2018, pp. 178-195. "Confronting Injustice: Lucile Bluford and the Kansas City Call, 1939-1942." The Pendergast Years: Kansas City in the Jazz Age & Great Depression. Kansas City Public Library, 2017. With Lori Ostergaard and Amy Mecklenburg-Faenger. “Making Space for Writing: School Girls’ Newspapers, Writing Clubs, and Literary Magazines, 1897-1930.” Feminist Challenges or Feminist Rhetoric? Locations, Scholarship, Discourse. Edited by Kirsti Cole. Cambridge Scholars, 2014. "Transforming Student Periodicals into Persuasive Podiums: African American Girls at Lincoln High School, 1915-1930." American Periodicals, vol. 22, no. 2, 2012, pp. 199-215. Rev. of A Feminist Legacy: The Rhetoric and Pedagogy of Gertrude Buck, by Suzanne Bordelon. Rhetoric Review, vol. 27, no. 3, 2008, pp. 311-315.